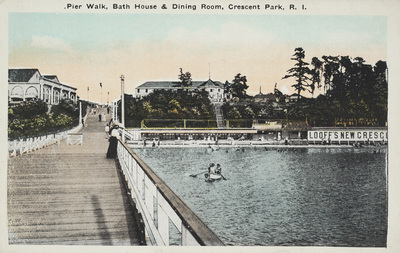 "Pier Walk, Bath House & Dining Room, Crescent Park, R.I." by Max Latt, Providence, R.I.
Pier Walk, Bath House & Dining Room, Crescent Park, R.I.
Max Latt, Providence, R.I., "Pier Walk, Bath House & Dining Room, Crescent Park, R.I." (1935). Rhode Island Postcards. 342.